What Does Cognitive Resilience Have to do With the New Year? - Diane H. Engelman, Ph.D. Truth be told, I like my New Year’s Eves quiet. So quiet, in fact, that I look forward to being awakened by neighbors who yell or clank-in the New Year. Since I live in a semi-rural neighborhood, I may awaken on my own at 2 am to discover I missed it. I feel a bit sad when I completely miss it, but not sad enough to make myself stay awake until the clock strikes 12. I’ve always been a morning person. What does all this have to do with “cognitive resilience”? Well, for many – including me – the New Year marks a time of quiet reflection to review and reassess life choices. I am not always organized about how I go about this process. But, overtly or covertly, I begin some kind of renewal. 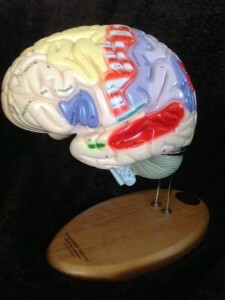 For me, this year, I am focused specifically on brain health. Many of my contemporaries, and those even considerably younger than I, express concern about their memory: “I’m having a senior moment.” “My memory isn’t what it used to be.” “I can’t remember anything!” Concern about the health of our brains, about our memory, seems to be on many people’s minds. There is also ongoing research on cognitive and intellectual deterioration, cognitive decline, and cognitive resilience. Obviously, there is much for us to learn and understand about cognitive resilience. In fact, the National Institutes of Health and the National Institute on Aging have committed $12 million in 2016 to boost research into brain resilience (Kuehn, 2015). But so far, it seems that exercise, social interaction, conscientiousness and sense of purpose may help our brains be more resilient. Of course, it’s important to seek medical advice when you have questions about your memory. It’s also important to know that there appear to be ways that we all can take an active role in our brain’s health and resilience now. It’s gratifying because positive change is hopeful and inspires creativity. And “creativity is intelligence having fun,” said Einstein. It’s stressful, because there are always aspects of my life that can improve. And improvement requires time, effort, and commitment. As I think about the upcoming year, I am clearer about how I want to grow my story this year. I’ve known for a long time that exercise is important from an overall health perspective. But I now know that I need to be more conscientious about exercise. I’ve known that exercise has numerous health benefits, but I hadn’t even thought about how it might be implicated in brain health. As I increase my daily exercise, I will strive to maintain and create a more robust memory! What are your thoughts about health in the New Year? Do you see areas of your life in which you’d like to grow your story? Finally, can you add more exercise, social interaction, conscientiousness, or sense of purpose into your life? That last one especially seems to be a good – no, a great – idea for us all! Kuehn, B. M. (2015) “The Brain Fights Back: New Approaches to Mitigating Cognitive Decline,” Journal of the American Medical Association, December 15, 2015, Volume 314, Number 23 Pages 2463-2586. Wilson, R. S. et al. Psychol Aging. 2015; 30 : 74-80. Windsor, T. D. et al. Dev Psychol. 2015; 51 : 975-986. Note: In this post, the author, Diane H. Engelman, is not directly or indirectly giving psychological or medical advice. Nor is she prescribing the use of any technique to treat medical, physical, or emotional problems. The author intends only to offer information of a general nature that may assist you in seeking personal growth. If you choose to use any of the information the author presents, she assumes no responsibility for your choices or actions.